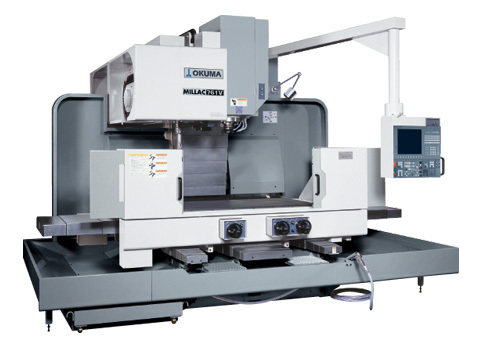 The rigid, heavy-duty and easy-to-operate MILLAC 761V vertical machining center has a strong base column construction with optimally-placed rips to avoid chatter and twisting while cutting. The machine also includes traditional box ways on all axes for precision and strength. It achieves powerful cuts with large torque at a variety of speeds using variable speed gear heads, large-diameter spindle bearings and an ample travel and table.